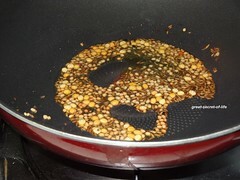 Heat the oil in the pan and when it is hot add mustard seeds, cumin seeds and let it pop. Add urad dhal and chana dhal fry till they are brown in color. 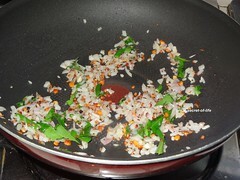 Add curry leaves and Onion and fry till onion is transparent or slight brown color. 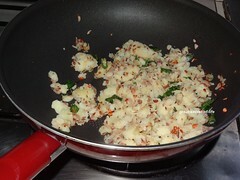 Add green chillies and mashed potato. Mix well. Switch off the flame. 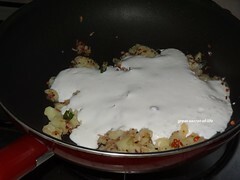 Add whipped yogurt, salt and required amount of water. Mix well. 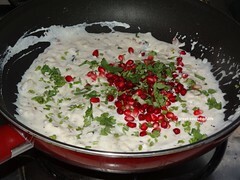 Add pomegranate and coriander leaves and mix well. new kind of a raita, looks yum. 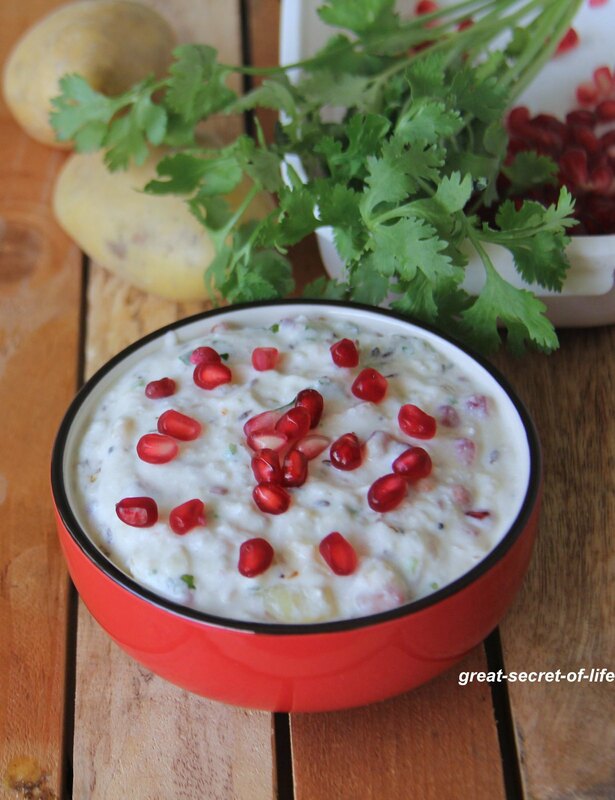 Healthy and tasty raita ..yummy !! 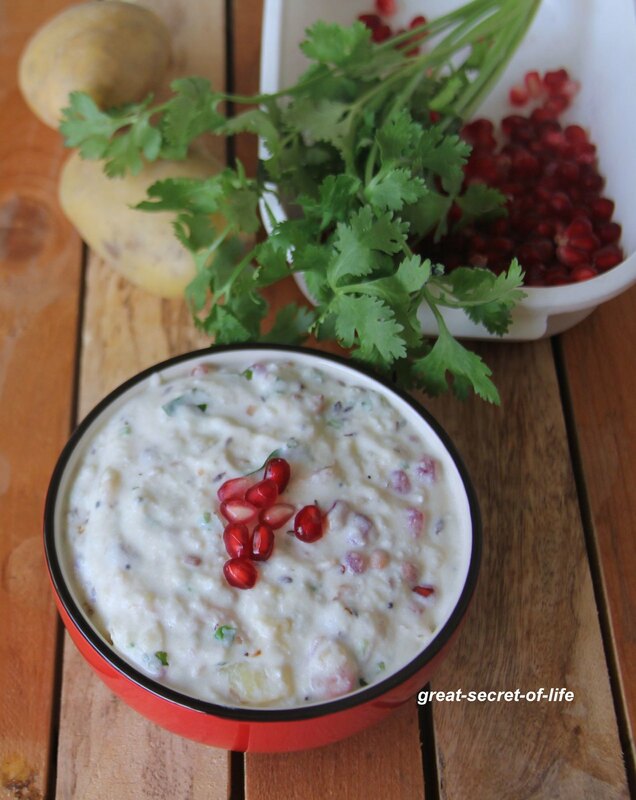 Fantstic and very delicious, guilt free raita, i can have a bowl anytime. 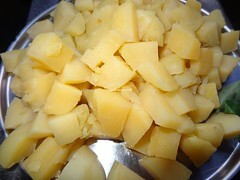 this would taste awesome with some biriyani!!! 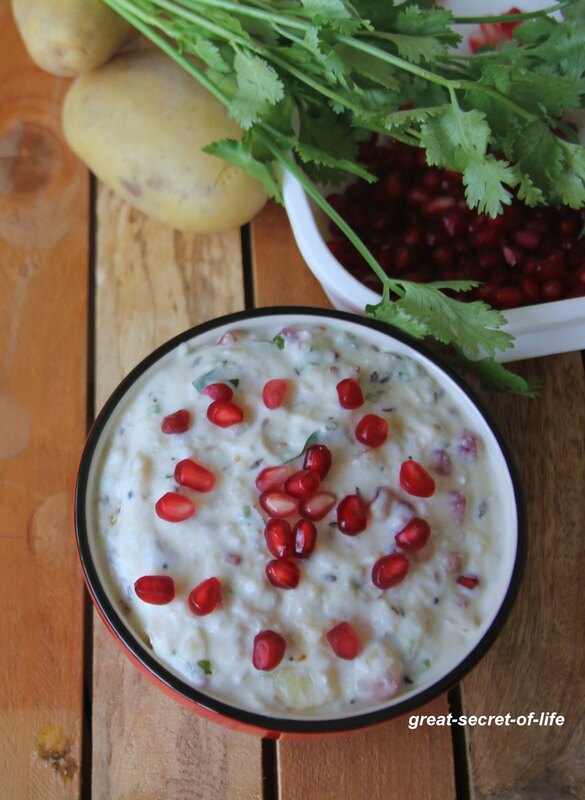 raita with mashed potatoes sounds yum!!! Hey good recipe and so simple…! I love pomegranates with curds.. I think the flavor is just great that way. I am always been a big fan of pomegranate and I recently discovered KDD Harvest’s pomegranate juice which is a hot favourite of my kids.. can this be eaten with parathas? It will be a good Sunday morning breakfast!